Forecasting, is basically a prediction or projection about a future event, depending on the past and present performance and trend. Conversely, planning, as the name signifies, is the process of drafting plans for what should be done in future, and that too is based on the present performance plus expectations. Planning and forecasting are two important managerial functions that are relevant for other functions. Basically, forecasting talks about what could practically happen, depending on the company’s performance in the past and at present. On the contrary, planning implies thinking before acting, i.e. deciding today, what is to be done tomorrow. This article makes an attempt to clear the differences between forecasting and planning. Meaning Forecasting alludes to estimating future performance of an entity, considering past and current performance and facts. Planning is a process of looking ahead and projecting the future course of action for the firm and also for various other units, within it. Based on Postulations and assumption, that involves a certain degree of guess. Relevant information, forecasts and objectives. Concerned with Estimating future event or trend. Assessing the future and providing for it. Forecasting is used to mean the analysis and elucidation of a future state, concerning the operations of the undertaking. It is a process that takes into account past and present information and facts to anticipate future events. Simply put, forecasting refers to looking forward and predetermine future trends and events, along with their impact on the business organization. There is no forecasting technique, that can predict the future course of events with 100% accuracy, i.e. some amount of guess is always present in it, and so, the error might occur. Planning may be defined as a basic managerial activity, that decides beforehand, what, how and when something is to be done. It refers to designing a future course of action, which focuses on reaching desired ends for the undertaking. It is a goal-oriented, intellectual, and all-pervasive activity. Making provisions to achieve the same. Planning is a process in which pertinent information and facts are gathered and analyzed, to make assumptions and premises for future. Considering these assumptions and premises, a plan of action is formulated, for achieving the goal of the organization. In short, planning refers to looking ahead and taking a peep into future, so as to highlight approximate events, with a little bit of discreteness. The process helps firms to match their resources, with the objectives and opportunities. A process of thinking in advance the future course of action for the firm and also for various other units, within it, is called as planning. Unlike, forecasting implies predicting future performance of the enterprise, taking into account past and current performance and facts. Forecasting relies on postulations and assumption, which involves a certain degree of guess and so the possibility of error can’t be removed entirely. On the other hand, planning is based on relevant information, forecasts, and objectives. Forecasting is related to predicting the future course of event or trend. As against this, planning is associated with assessing the future action and making provisions to reach the same. Forecasting takes into account facts with reference to the past and present performance of the entity. In contrast, planning considers past and present data and facts, as well as aspirations, to decide beforehand the future course of action. Forecasting activity is performed by different levels of managers, or sometimes experts, like statistician, analysts, and economist are employed by the management. 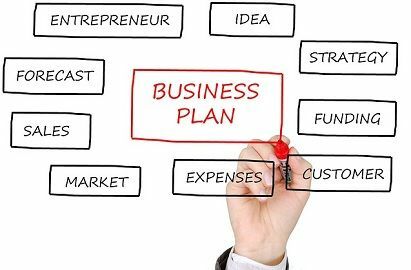 Conversely, it is the responsibility of the top-level managers to formulate plans for the business. So, the forecast for the next financial year is Rs. 3 crores which is nothing but an estimate, that the company might achieve. On the other hand, the company plans to achieve Rs. 3.50 crores, in the next financial year, that is based on forecast and aspirations. Planning and Forecasting, both require abilities like reflective thinking, farsightedness, decision making, experience, and imagination, on the part of managers, in order to perform the difficult task effectively and efficiently. Forecasting has a great role to play in the process of planning as the planning premises rely on forecasts.